Usually when it concerns a book like Shiver, there are two teams. There is the “OMGZ THIS IS THE BEST BOOK, SAM IS HOTShiver, I like it. I like the main characters, I like the romance, I like the werewolf lore, I like the story, I like the ending. But there’s no passion for me here, there are no “oh my god” moments. Well, except for the animal torturing part. If you read the book, you will probably know what I’m talking about. Yuck. Seriously. I had to put the book down for two days, it put me off so much. 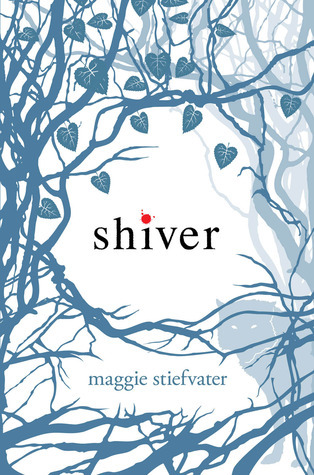 Shiver is basically a classic young love story, with the big obstacle being that one of the two is a werewolf. The writing was pretty good, it was quite rich with some beautiful descriptions. There were a lot of little details to this book that tells you that a lot of time and effort went into this book to make it as good as possible. For example, the colour of the letters match the blue on the cover. Every chapter states the temperature, which is pretty relevant to the story. Overall it felt like a very polished effort. But maybe it felt a bit too polished for my tastes. It felt like every real and raw emotion has been polished out. Shiver is just a big string of poetical moments. If you have one of them, they can be strong and memorable, but if you have too many, they just turn into a blur. What am I trying to say? Maybe the relationship between Grace and Sam was too easy. That doesn’t mean this isn’t a very enjoyable book. But I never really swooned over Sam, even though I usually love a tortured hero. Conclusion is, I liked Shiver. Didn’t hate it, didn’t love it. Who’s with me?